With a large, square touchscreen and physical keyboard, the BlackBerry Passport is BlackBerry's newest take on the modern smartphone. The phone is powered with a 2.2 GHz Qualcomm Snapdragon 801 quad-core processor and a high memory capacity of 32 GB of internal storage and 3 GB of RAM. 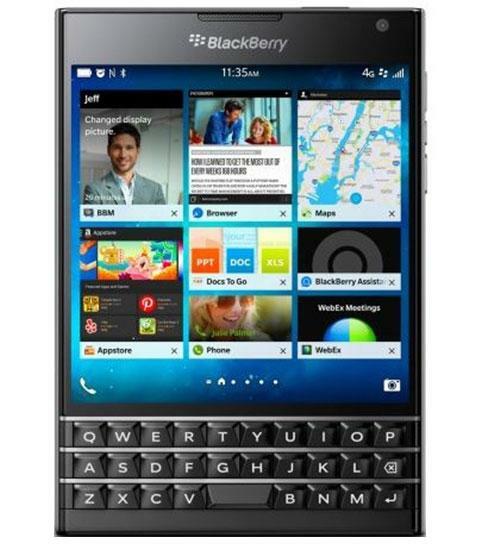 The BlackBerry Passport also comes with a variety of other features, including a 13-megapixel camera with OIS, a 2-megapixel front facing camera, a memory card slot, NFC, and mobile hotspot capabilities. 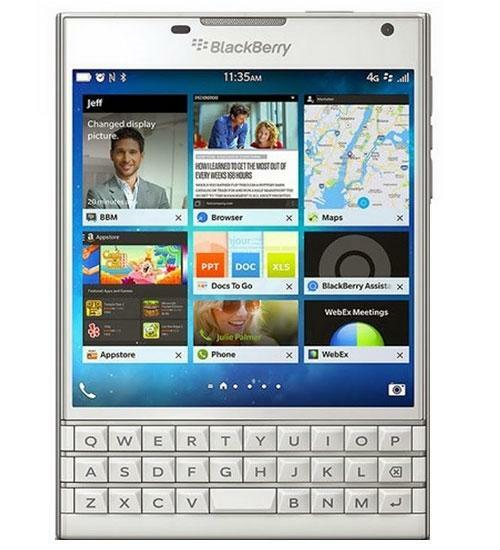 BlackBerry Passport gets in to the top 5! This week's surprising story from the Official Smartphone Rankings is the BlackBerry Passport's rise in to the top 5. In this week's episode of Fetch!, Cam turns his attention to some of the more interesting stories across the PhoneDog Media network. BlackBerry is well-known for making great keyboards, but with the Passport, it's added a little something extra. Cam gets his hands on BlackBerry's latest attempt to create a productivity champion. Cam reviews BlackBerry's latest flagship device. Cam introduces a new 30 day challenge. Will he make it through a full month with a BlackBerry Passport as his main device? Can you compare a BlackBerry with an iPhone? BlackBerry Passport Challenge: Day 5 - It's all about those apps! Cam is in to day 5 of his 30 day challenge. We're in to the 11th day of Cam's BlackBerry Passport Challenge, and this time we're focussing on the camera and Story Maker app. Cam is in to day 17 of his 30-day BlackBerry challenge, and it's about time to share the frustrations of using the Passport as a daily driver.